T B Oliver, established 1900 in Port Adelaide, was known for 90 years as “Olivers Locksmiths and Hardware”, residing at Commercial Road near the wharf for 97 years. In 1990 the business introduced its new name of Port Locksmiths as it changed focus to provide a specialised service in all aspects within the Locksmithing Industry including Car, Automotive, & Home Locksmith & key cutting. Moving into a larger premises with a showroom and workshop in the nearby location of Swan Terrace at Glanville, adjacent to Semaphore, Port Locksmiths offer sales, service and repairs for residential, commercial and automotive Locksmith requirements. Locally owned and operated by a Master Locksmith with nearly 35 years experience, we don’t just service your area – we are based in it. For over 110 years the business has had a retail premises based in the Port area for customers’ convenience and peace of mind. Port Locksmiths, proud of our name, heritage and past but confident and preparing for the future, are not associated with any other business. 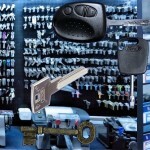 Many others come and go making claim to be associated, even causing confusion with similar names for advertising purposes however we are the original Pt Adelaide locksmith. Est. 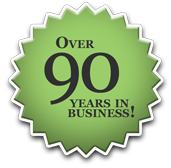 1900 – One of the oldest Locksmiths in Adelaide!